The latest news, images and information from the Archive will be posted here. September 9 2015. Terry Virgo (New Frontiers) addresses the Donald Gee Lecture at Mattersey. September 3 2015. From The Latter Rain Evangel (January 1909), the personal written testimony of Agnes Ozman, believed to be the first person to speak in tongues in the modern era, at the Bible School at Topeka Kansas. June 7 2015. Also passed on to the Archive from Simon Hattrell, a set of teaching materials which comprised the Elim Bible College Correspondence School. June 7 2015. The Archive was delighted to receive these hand-written sermon notes from Pentecostal missionary pioneer William F. P. Burton. With gratitude to the Reverend Simon Hattrell who sent them to Mattersey from his Anglican parish in Tasmania. May 28 2015. Dr Mark Roberts, Director of the Holy Spirit Research Center from Oral Roberts University (Tulsa, Oklahoma) visited the Archive on his trip to the UK. He is quite overwhelmed with the items in the collection and extends an invitation to Peter Cavanna and the Archive Team to visit the archive at ORU. April 15 2015. British Archivist Peter Cavanna accepts the generous invitation of Darrin Rodgers and the team at Flower Pentecostal Heritage Center (see below) to visit the Archive in Springfield, Missouri, in December 2015. It is hoped that the US and UK Archives will be able to share some resources and work more closely together in the future. 1. 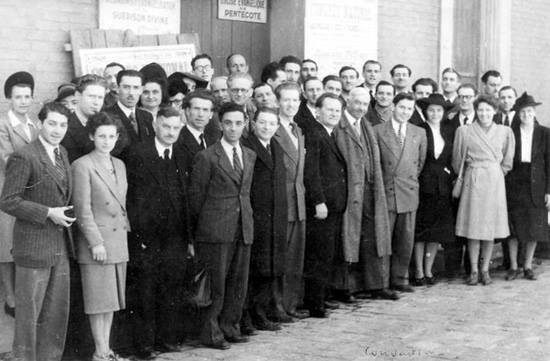 Donald Gee in Elbeuf France with Pentecostal leaders, 1936. 2. 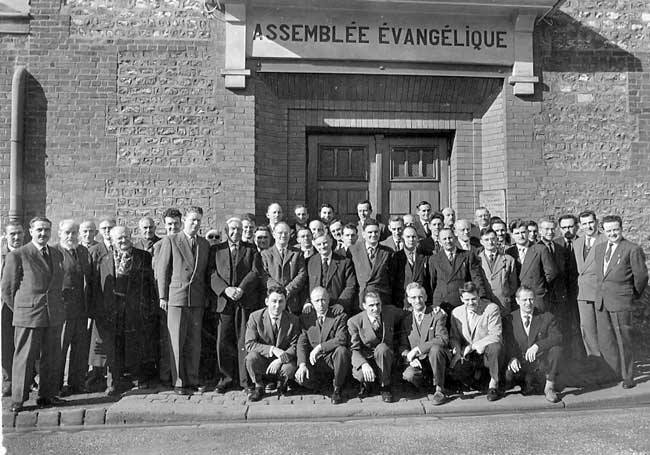 Donald Gee with Pentecostal leaders in Rouen, France. 3. Donald Gee with Pentecostal leaders in Toulon, France. 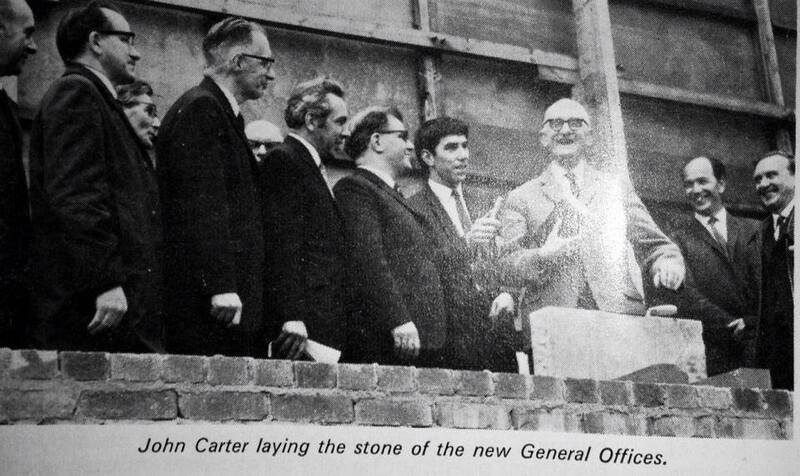 John Carter (centre) laying the foundation stone at AOG central offices, Nottingham, 1970. This stone is now in the Archive (see below). 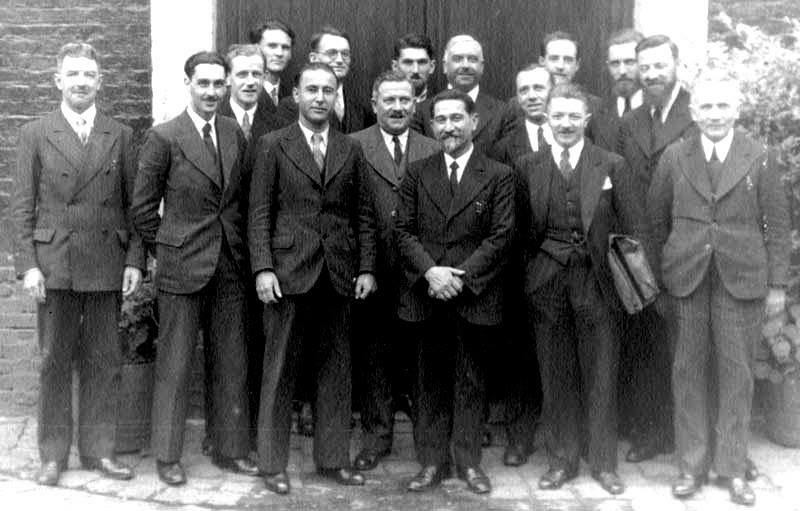 Also pictured among others are, left to right: John Philips, Alfred Missen, Eric Dando, Ernest Shearman and David Shearman. November 28 2014. 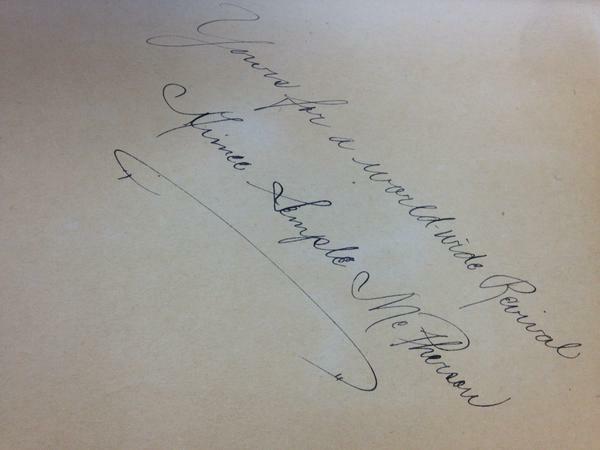 We discovered that the autobiographical work from Aimee Semple McPherson ‘In the Service of the King’ (1927) which we have in the Donald Gee Archive was signed personally. October 23 2014. 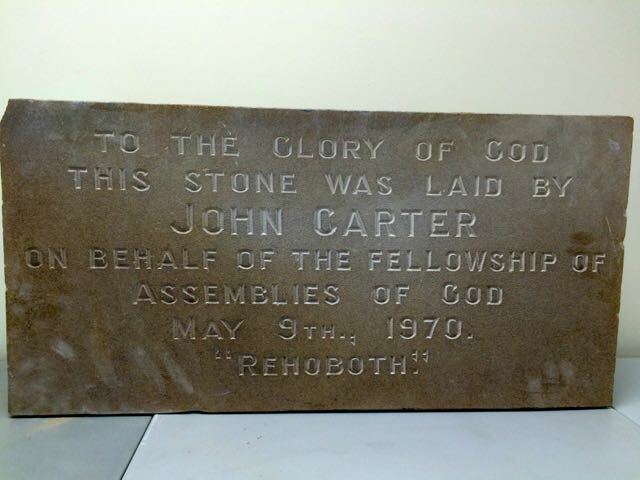 This stone, as laid by John Carter in 1970, was brought to the Archive from The Christian Centre, Talbot Street, Nottingham.